I know, I know! 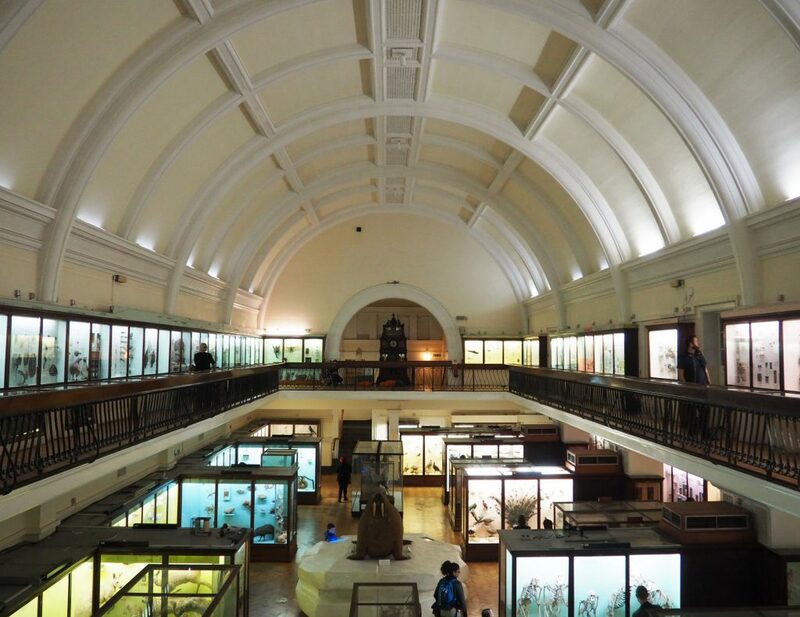 Most people have never heard of the Horniman Museum before. Just about everyone I’ve mentioned it to has given me a very confused expression and said: “where”? 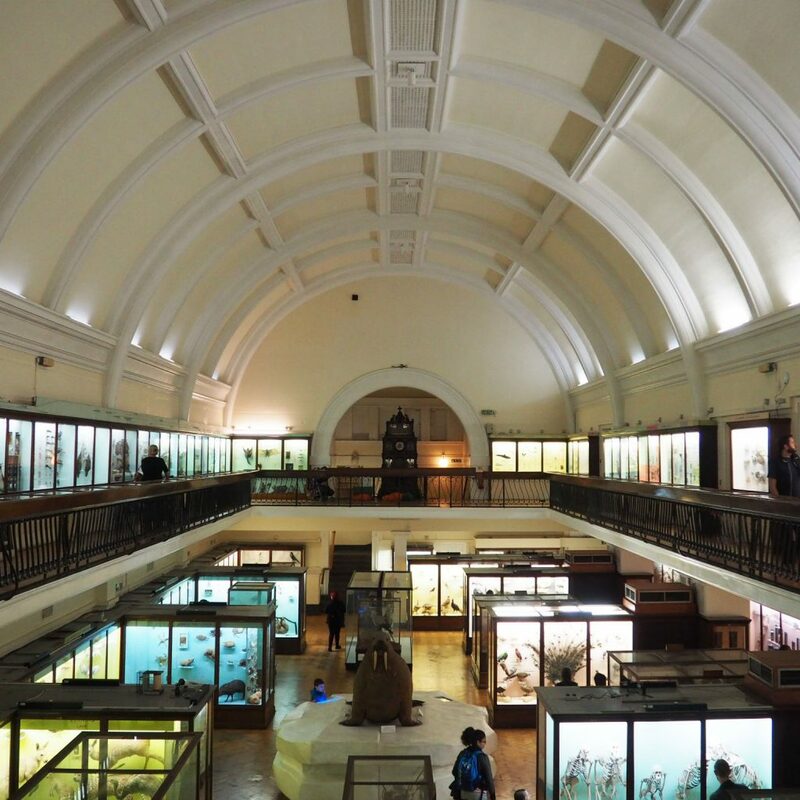 In a nutshell, the Horniman is a natural history museum, just not on the grand scale of the one in Central London. 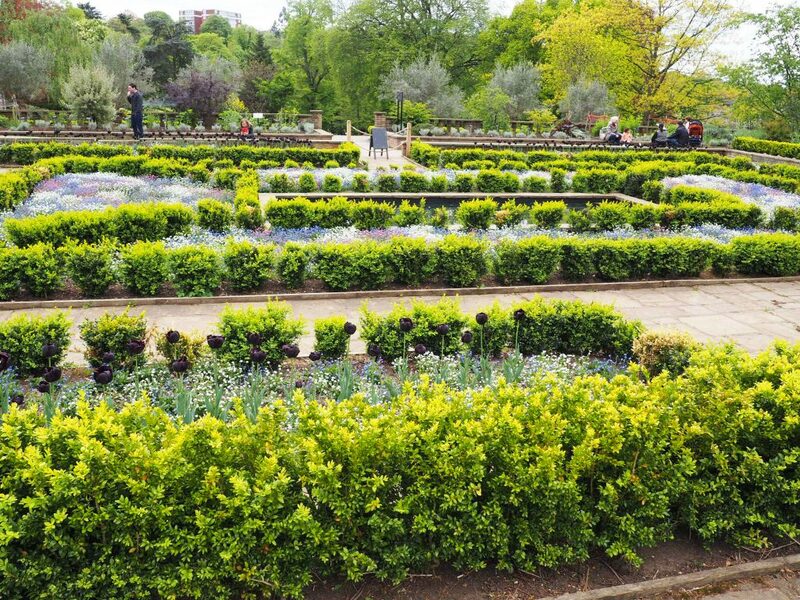 The Horniman is located in Forest Hill, south London. It is only two stops away from me on the train so it is incredibly close. What is even more incredible is that I have never been despite it being my type of museum and I have lived so close for over 18 years! Coming out of Forest Hill station you walk up the South Circular Road for ten minutes. 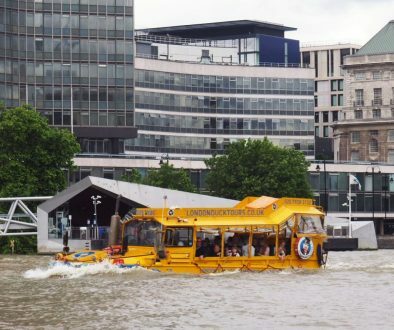 The Overground goes to Forest Hill and you can also catch trains from London Bridge and Victoria. Very handy. Entrance to the museum is free but you will have to pay for entry to some of the small exhibitions. 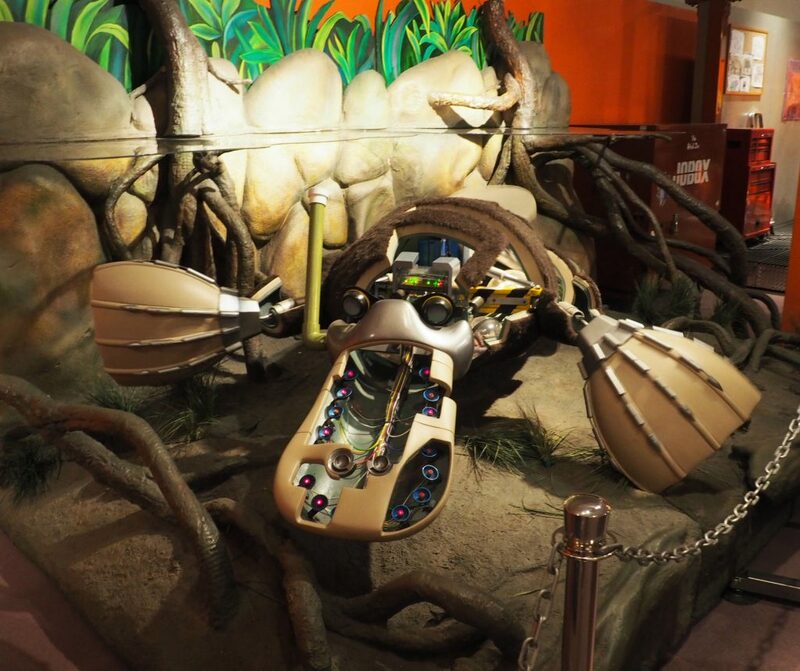 When I visited they had the Robot Zoo (£7) and Aquarium (£4) open. There is a music gallery and natural history gallery (as you’d expect). There is a large cafe indoors with plenty of additional seating outside. 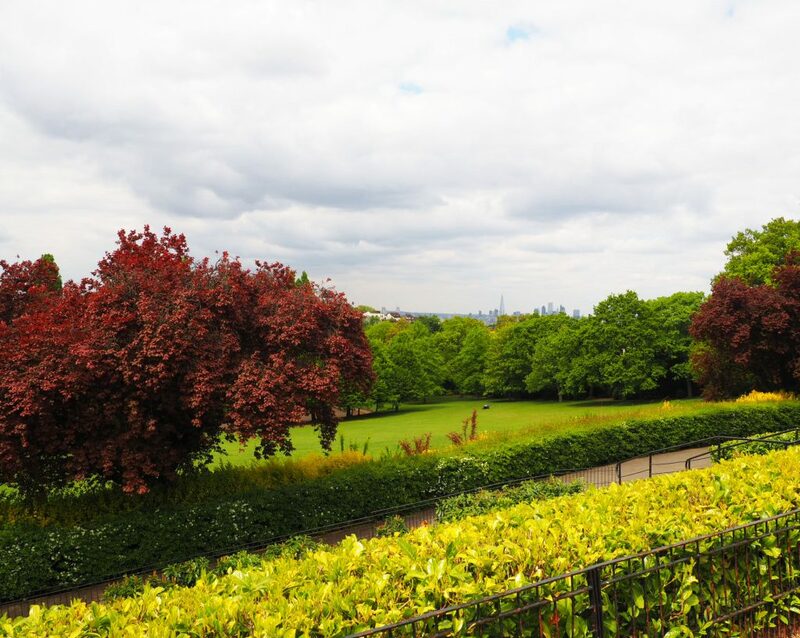 There are beautiful areas in the gardens with great views of central London. A welcome addition is that of an animal walk! I hadn’t seen one of those for years. This area will be a real treat for children. 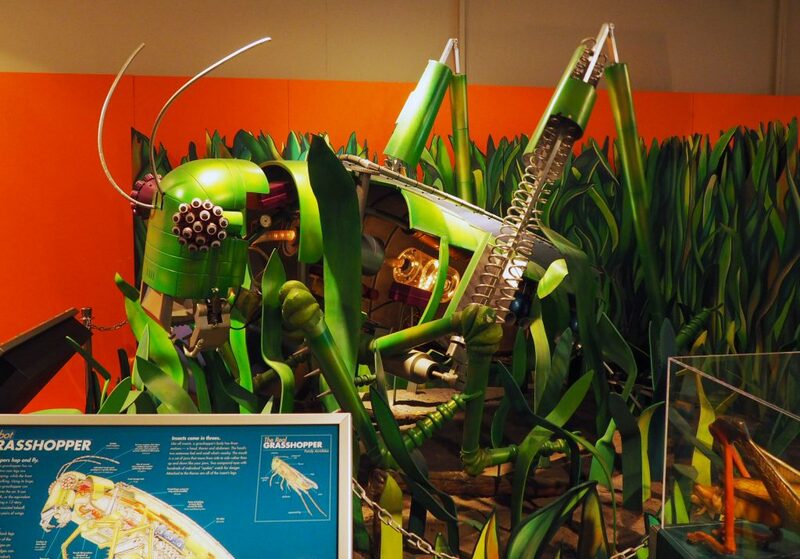 This interactive exhibition allows you to see the inner workings of animals and insects. 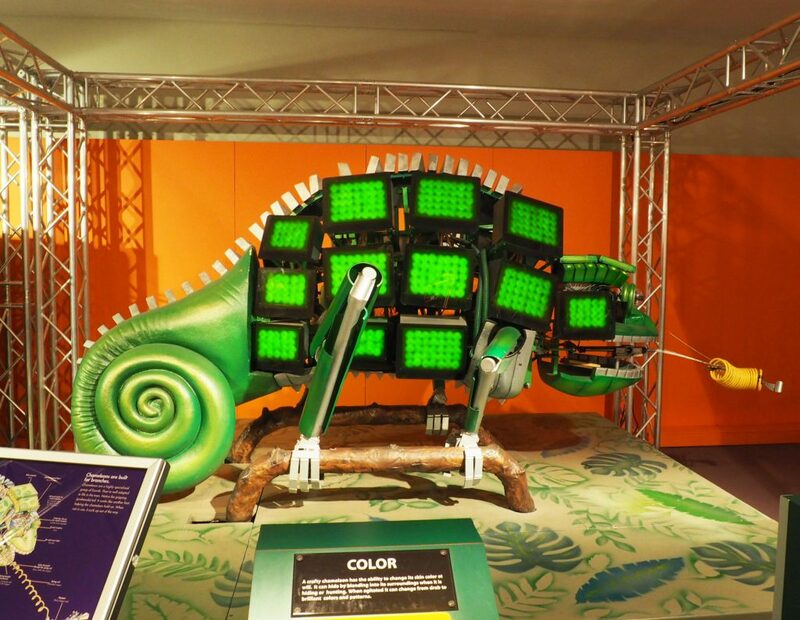 There are eight robots on display, with some of them moving independently. 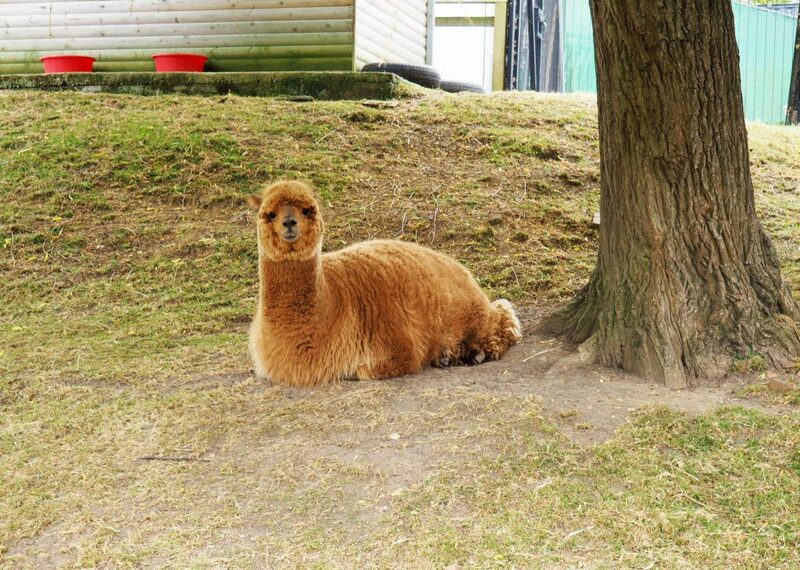 You can expect to find a giraffe, grasshopper, rhino, platypus, housefly, bat, squid and chameleon. Facts are displayed in front of each where you can learn some really interesting things. What I read about houseflies made me think creeped me out. If you don’t already know, flies throw up on food it lands on and waits for it to be nice and soft to slurp it up. So definitely keep on swatting those flies away from your food! There are plenty of interactive games to take part in that help you understand more about the animal or insect. 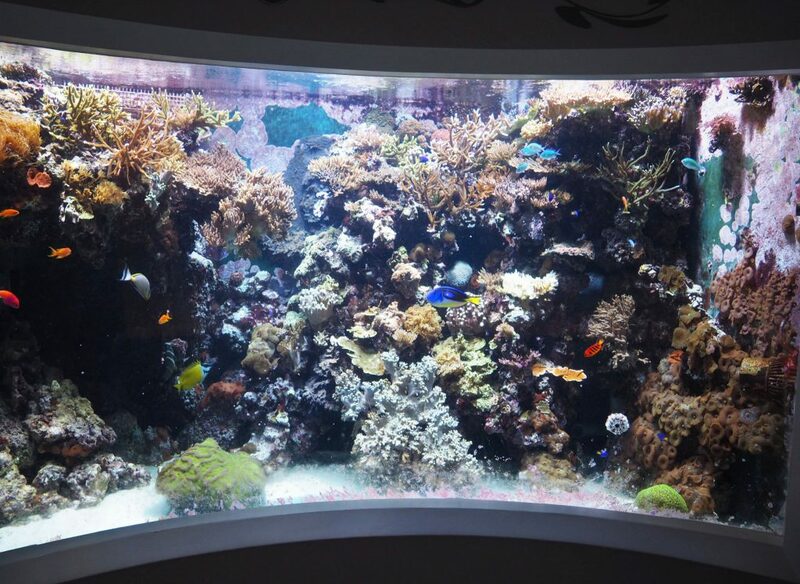 I love a good aquarium. 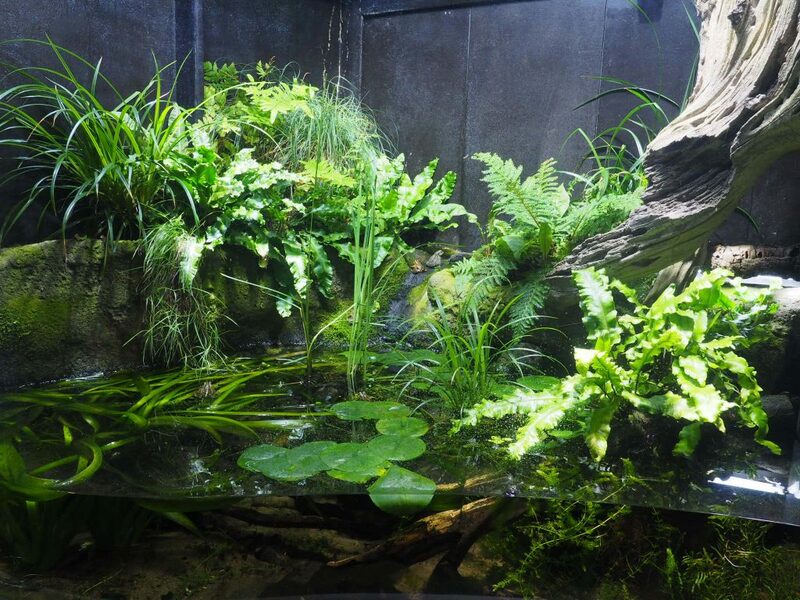 The one in the Horniman is not large but it does have some lovely tanks with frogs and fish. 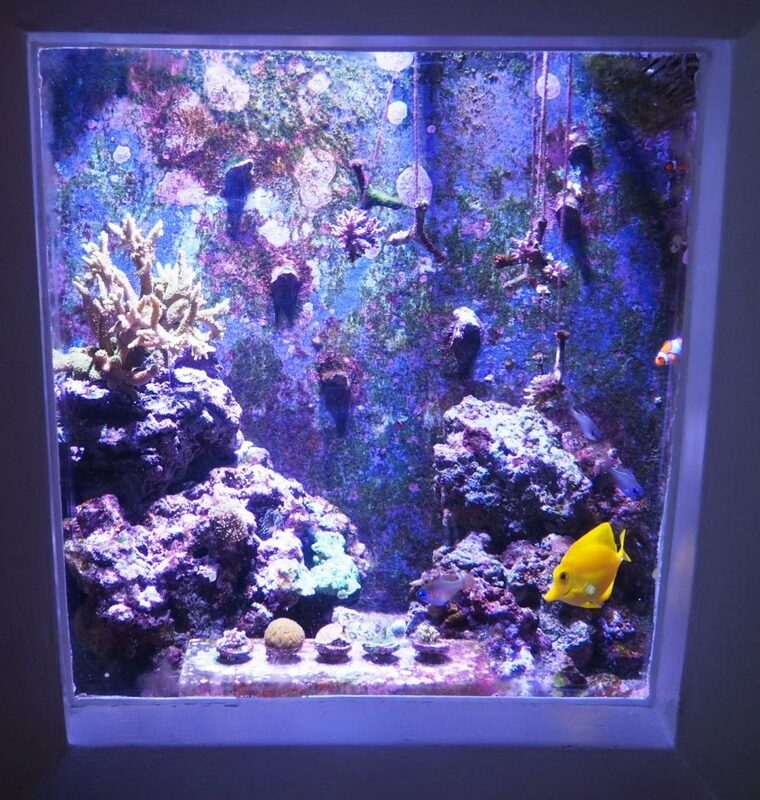 There is one big tank in the centre with plenty of fish swimming around in a hurry. When I was there children kept coming in and saying, “I found Dory!” it was very sweet. You can see tiny clown fish too. Jellyfish were on display too and they looked so fascinating. 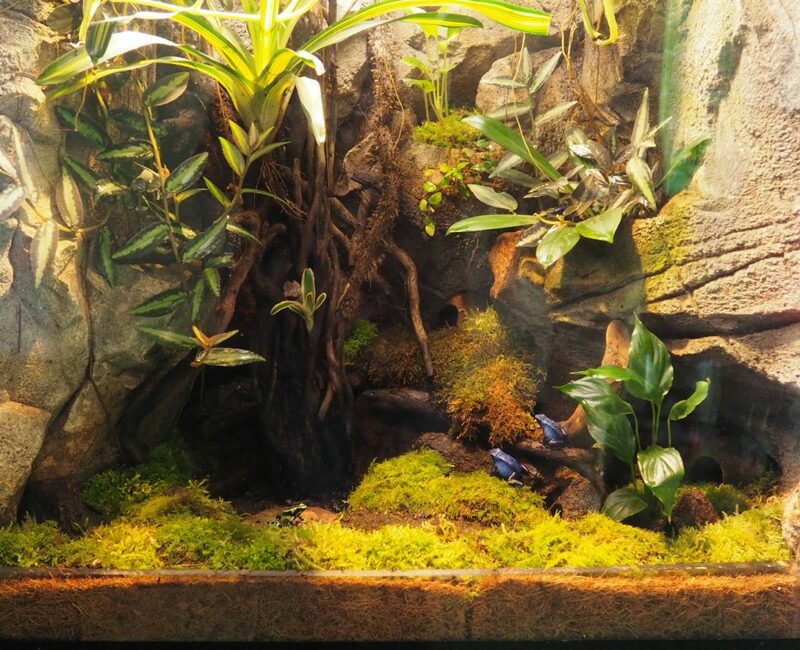 The frogs I saw were generally still, so in some tanks, they were difficult to see. I do like frogs for some reason but some in the Horniman were poisonous so I won’t be going near them anytime soon. 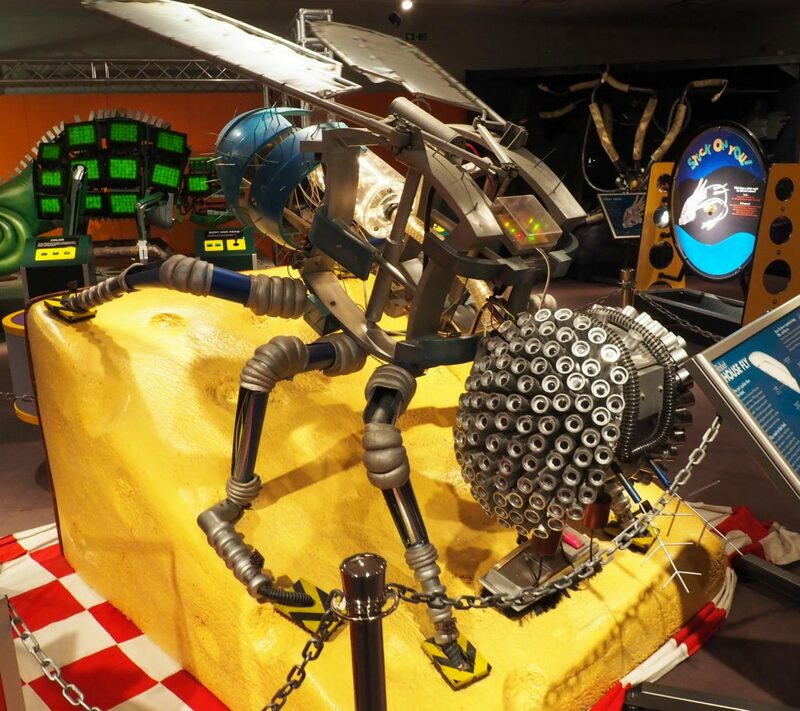 On the lower floor, alongside the Robot Zoo and Aquarium is the free Music Gallery. 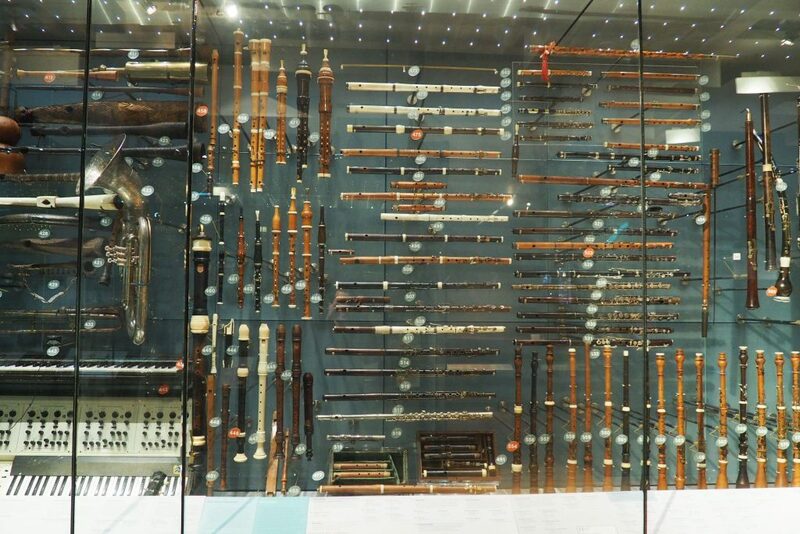 Here there are over 1300 objects from the museum’s collection of musical instruments. 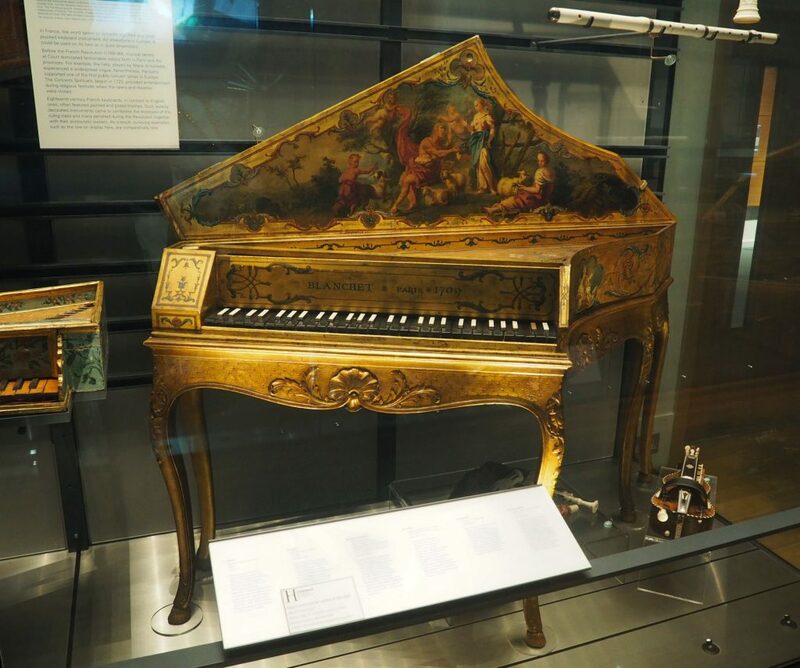 You are shown the changes in musical instruments and how music is used in different cultures around the world. I’m not totally into this kind of thing but I was fascinated to see so many variations of the same musical instruments. The collection is very impressive. There is a piano for use in a side room for those with twitchy fingers. 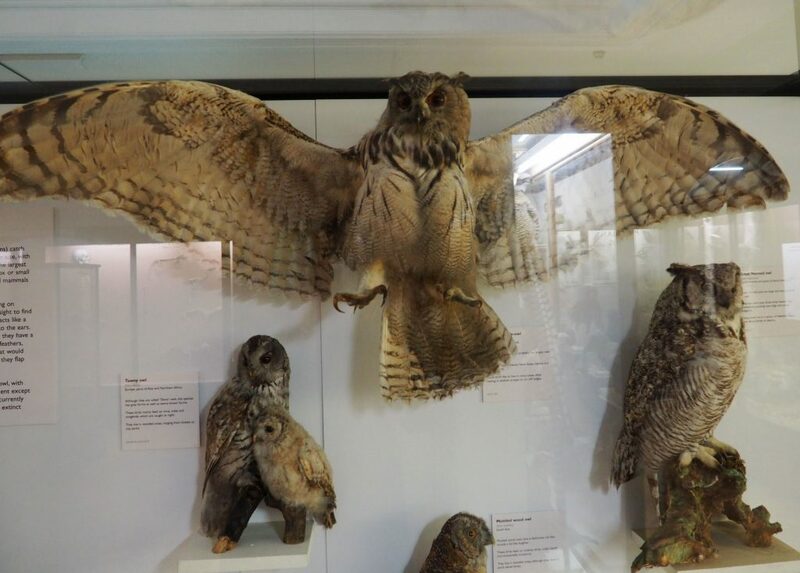 The Natural History Gallery opened in 1901 and most of the specimens were collected over 100 years ago during the Victorian and Edwardian periods. This includes in taxidermy mount of a walrus, which is the centrepiece of the Horniman. 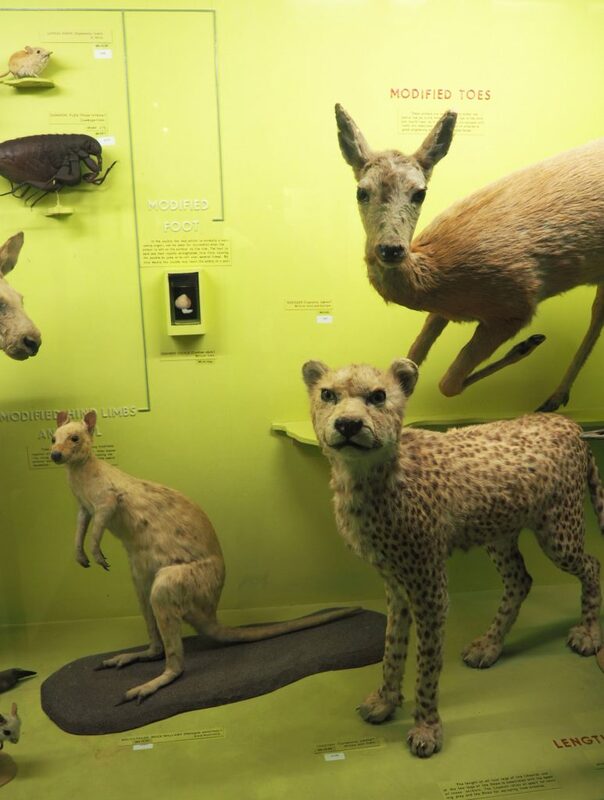 I love looking at natural history displays because you are introduced to such a variety of animals. 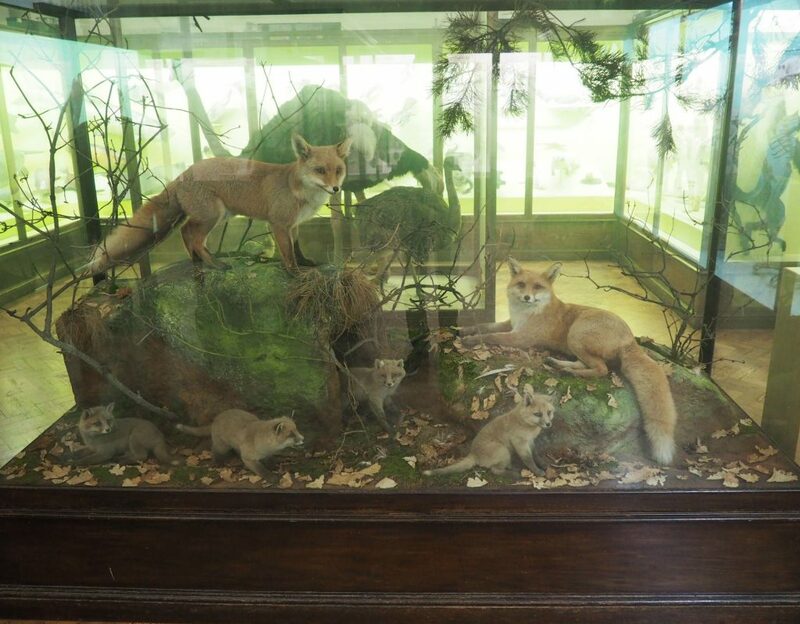 There is a big display with foxes, an owl spanning its wings and a peacock spreading its feathers. As I was walking past one woman who was telling her friend, “oh I caught one of them. I threw it into the bin alive.” I thought, what is she talking about? I turned to see that they were looking at a display of mice. I had to deal with mice in my home earlier this year and when I saw the stuffed mice my spine tingled! Freaky! The balcony provides a fantastic view of the gallery and the famous walrus. 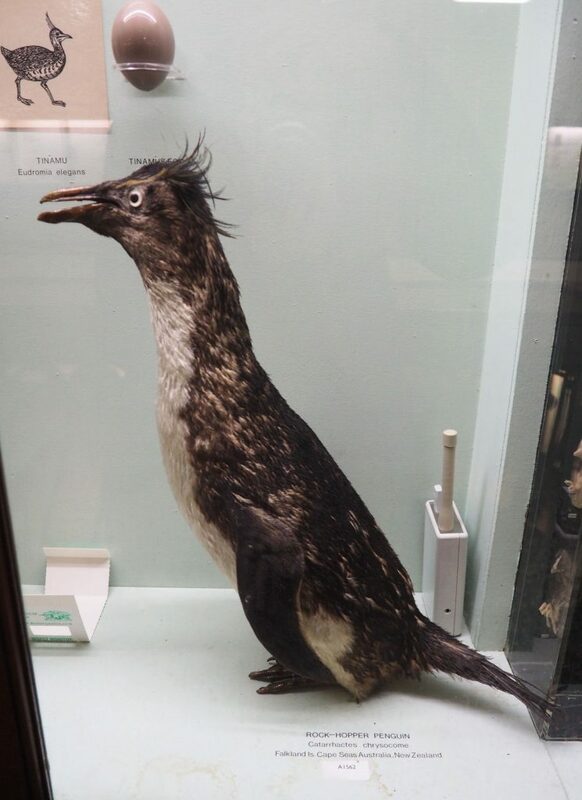 There is also a penguin having a bad hair day up there too. The gardens are beautiful. Because of spring, the colours are fantastic and if you walk up to the bandstand you get a lovely view of central London. Opposite the museum is a lovely square garden. It is a real thing of beauty. I think I’ve used all of the nice words now! Close to the bandstand is an animal walk. I haven’t been to one of these for so long, it was lovely to see. 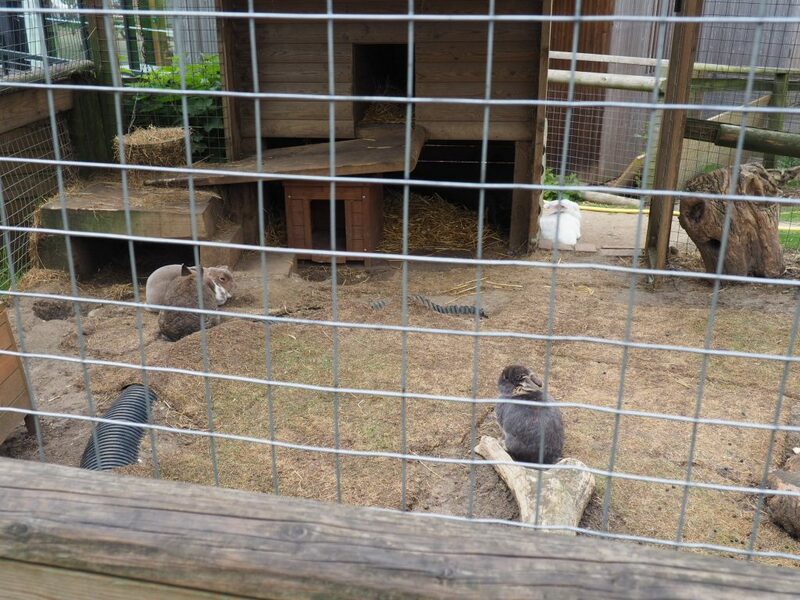 They have alpacas, chickens, goats, sheep, guinea pigs and rabbits. 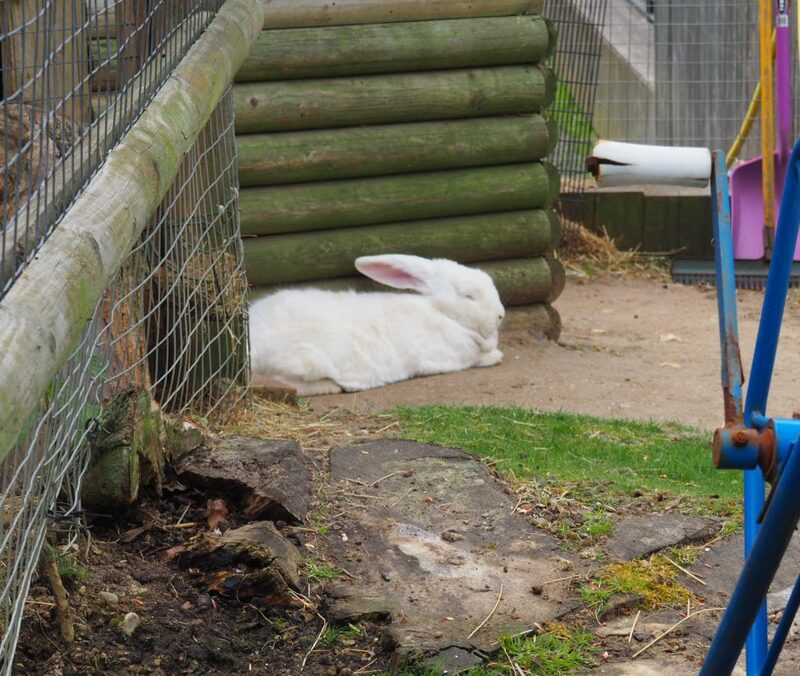 The rabbits are sooooo cute! There were five of them including a giant white one and another that was burrowing away not taking any notice of us watching. 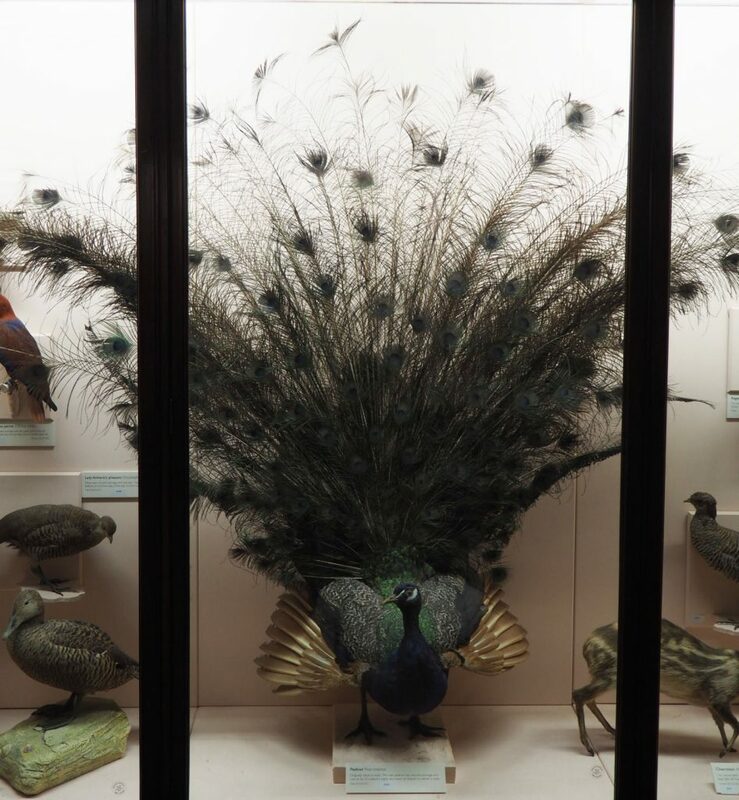 The Horniman Museum and Gardens is a brilliant place totally off the beaten track. With the museum being free to enter it makes for a lovely day out. The prices for the exhibition were very reasonable. You can’t really beat £4 for an aquarium and the Robot Zoo is something worthwhile for children. Although saying that I don’t think I’d like to see a real fly that size! 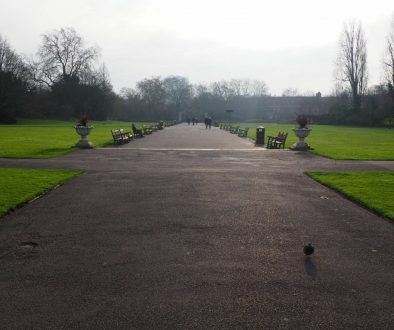 The gardens are very pretty and make for a lovely walk. 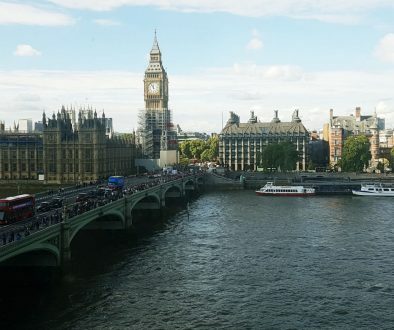 I really can’t believe that this was my first visit considering I have been a south Londoner all my life. Sometimes the most wonderful things are right under our noses. 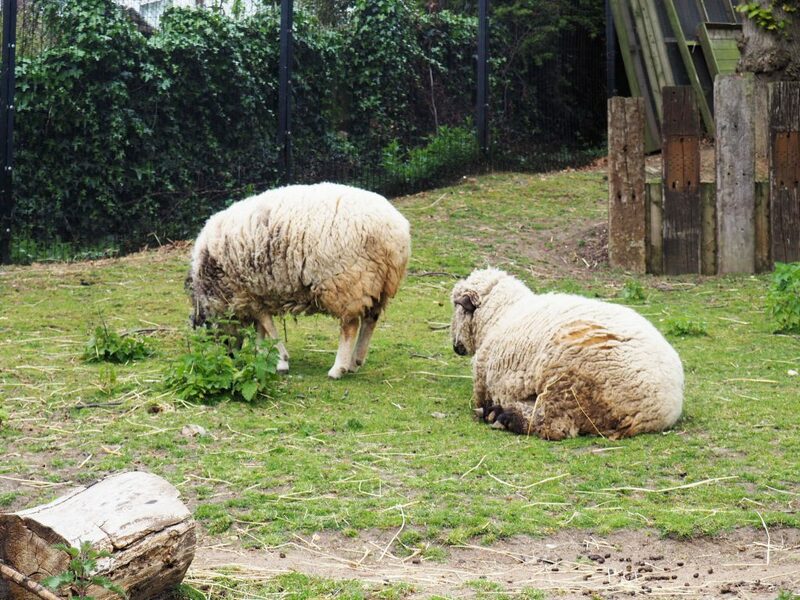 Have you been to the Horniman Museum and Gardens?